I am using BSNL EVDO from last three years without any issue. My EVDO plan is Unlimited Prepaid. I pay only 825/- (750/-) per month and enjoy Unlimited internet with 200KB/s and above download speed. I love BSNL product. Is this available in Delhi? 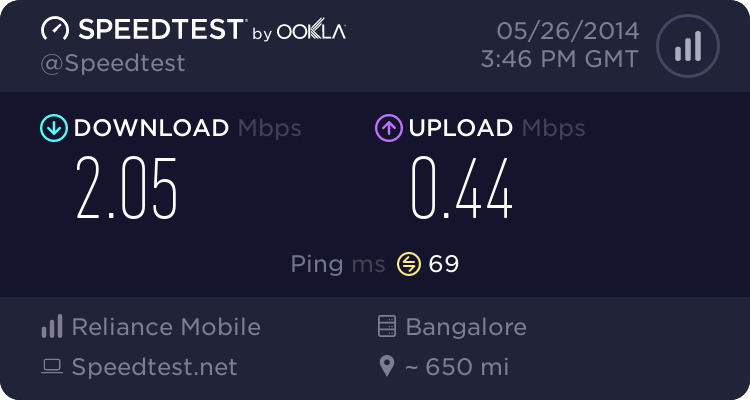 My mts mblaze is pathetic and I need a new connection. Bsnl is not available at Delhi and Mumbai as we have Mtnl at these two circles. I use Mts too and yes it crawls in the evenings but rest of the day it works fine. It looks like their infrastructure is not keeping up with demand. Why have you put two costs 850 and 750? Is this plan available all across India? So monthly cost all in all is Rs825, not bad for unlimited data. Do you know whether this plan is valid in other circles as well? It is a very good plan, but the problem is I live in Delhi and there is no BSNL here. Do you think if I purchase this connection from outside of Delhi, it would work in Delhi? BSNL brings to its esteemed customers wireless data Service with CDMA 2000 1X & EVDO technology. A customer can avail these services by using USB or PCMCIA type data card. The data card (EVDO/CDMA 1X) allows to accesses the high speed internet without need of landline. You can use the services while on move. The service is available PAN India (except Delhi &Mumbai).Data services are available in prepaid as well as postpaid. BSNL offer two types of data services on CDMA technology.